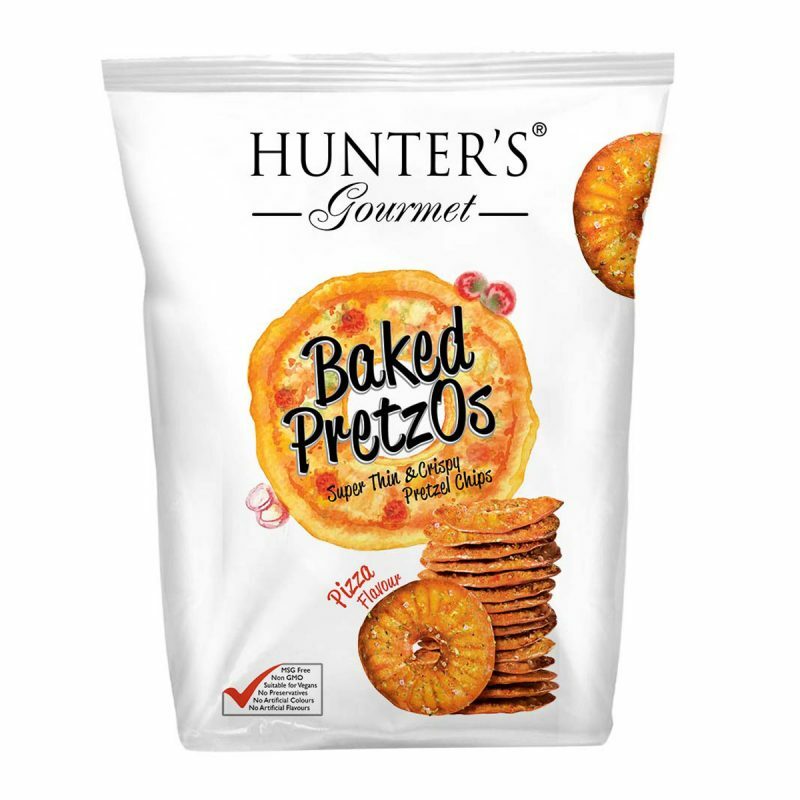 Hunter’s Gourmet Baked PretzOs – Pizza (160gm) 160gm Packet. Alternative Snacks, MSG Free, Non GMO, No Preservatives, No Artificial Flavours, No Artificial Colours, Vegan, No Transfat, No Cholesterol. 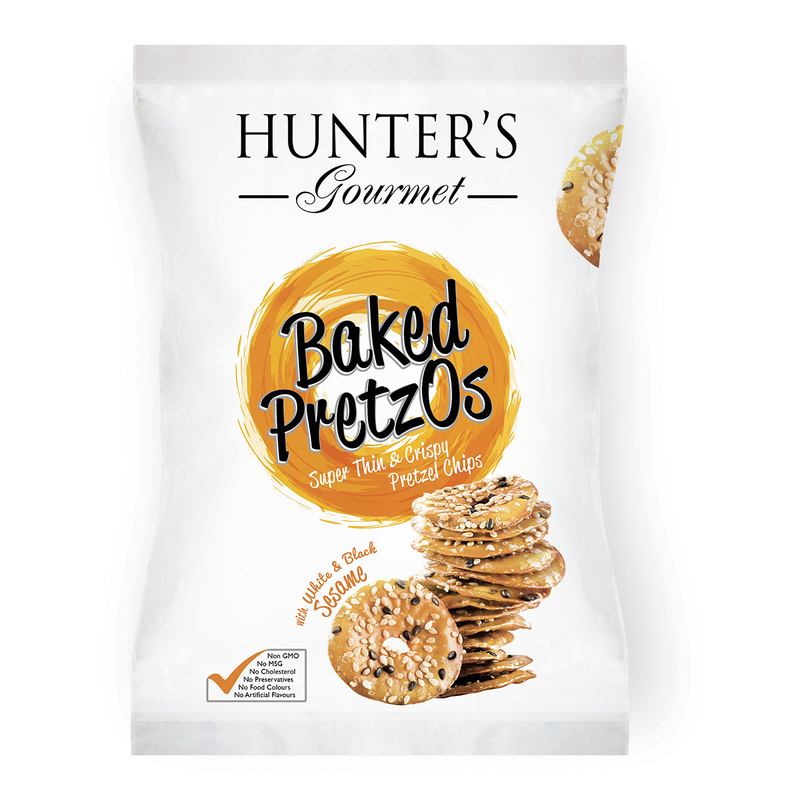 White wheat flour, rapeseed oil, pizza flavour 6% [maltodextrin, tomatoes, dextrose, sugar, salt, onions, parsley, basil,coregano, yeast extract, lemon, natural flavour (pizza), paprika extract (E160c), anti-caking agent (E551), garlic, antioxidant (E392), barley malt extract, sea salt, emulsifier: soy lecithin (E322), raising agent (E500ii), natural chilli flavor, natural basil flavor] Contains: Gluten and soy. It might contain traces of sesame and mustard. My kids love this new flavor! No one can resist Pizza of course!